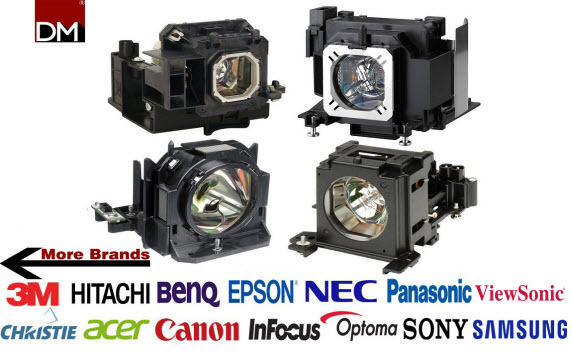 Dubaimachines.com has a wide variety of Projector Lamps for various Projector brands. With a number of options to choose from including compatible lamps and original lamps, you will always find the right projector lamp for your projector at best prices guaranteed along with convenient delivery at your doorstep. If you cannot find the lamp for a particular projector model online, please don't hesitate to call us! Call Our Experts at +971-4-3360300 and we will ensure your technical and pricing requirements are taken care of. Alternately you can also Leave a Message & We will call you back in a jiffy. Epson V13H010L67 Projector Replacement Lamp.